Bob is a heavyweight in the property industry, with well over 30 years experience. He is the founder and current Managing Director of Positive Property Strategies, but has also held both state and national management positions with some of Australia’s largest development companies. Bob started developing property in 1980, where he decided he would use the profits from his developments as his primary source of income. And that’s what he did – made profits and paid income tax. By the late 1980’s, Bob had a ‘light bulb’ moment when he realised that it would be a smart investment tact to hold on to some of his developments as long-term investments – obtaining them at developers cost, holding for growth and deferring the tax. And it worked! For over 2 decades, Bob has been fine-tuning his systems and business models for packaging and developing projects using a ‘develop and hold strategy’ which has been accumulating fantastic profits for both himself and his clients. Often, he’s able to save more than $80,000 on the cost of a new property. Bob has been involved in over $1 billion of property projects in Australia including apartments, townhouses, commercial buildings, retirement complexes and student accommodation. You name it, he’s done it. 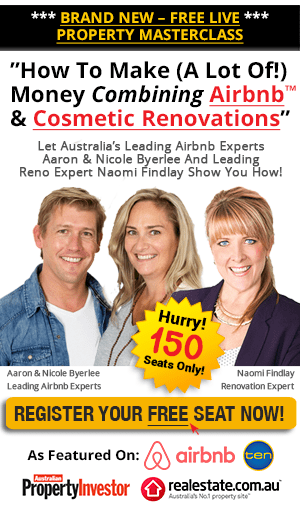 He was featured in Australian Property Investor Magazine (API) as their resident property development expert in the most successful API article ever published: The 12 Step ‘Small Development Guide.’ He has also been interviewed on Fox News, Sky News, 4BC radio and has been a key-note speaker at several property industry events. In addition to his media presence, Bob has also co-authored “Residential Real Estate Development: A Practical Guide for Beginners to Experts”. What Property Development Education Can You Get From Bob Andersen? Nowadays, Bob travels the country in between his busy work schedule and educates keen investors and property entrepreneurs about the ‘ins and outs’ of his property development strategy. His simple break down of the strategy involved when developing property means that any investor, experienced or not, can access the correct knowledge and tools to get started on (or improve on) their portfolio.